Quickoffice has been a part of the Google family for over a year now and we’ve been focused on making it easier for you to get work done in Drive -- no matter what type of document you need to work with. Converting old files to Google Docs, Sheets and Slides is still the easiest way to share and work together, and we’re working every day to make the files you convert look better. But sometimes the people you work with haven’t gone Google yet, so we made the Quickoffice mobile apps free for Google Apps for Business customers. And today we’re making Quickoffice available for free to everyone: students, businesses, nonprofits, governments, consumers and anyone with a Google Account. You can get the free Quickoffice app on Google Play and in the App Store. Simply sign in with your Google Account to start editing Microsoft Office Excel, Word and PowerPoint files on your iPhone, iPad, Android phone or tablet. Quickoffice is integrated with Google Drive so you can safely and easily store and access your files across devices. Users who currently have Quickoffice for Google Apps for Business can update their app to the new version and will notice a new icon. You’ll also see a number of new features including the ability to create .ZIP folders and view charts in Excel and PowerPoint files. Plus, the new app works across devices so you don’t have to worry about installing separate versions anymore when you go from using your phone to editing on your tablet. 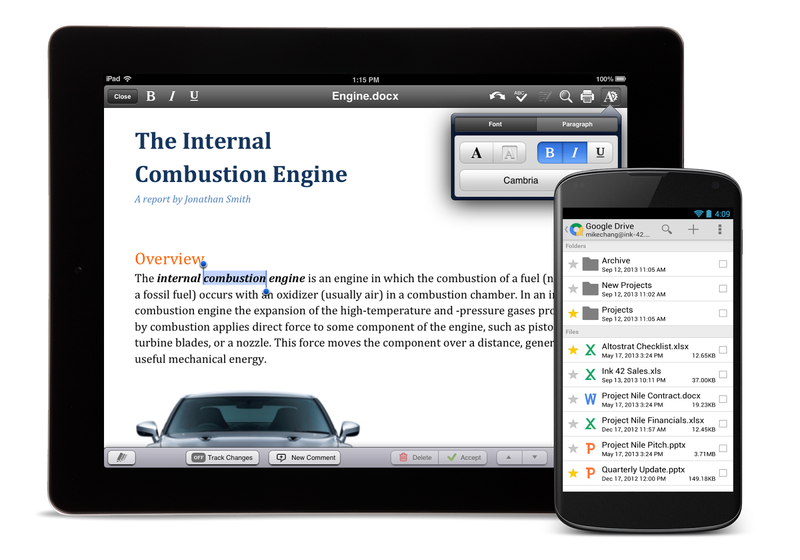 Note: Previous versions of Quickoffice have been removed from Google Play and the App Store. Learn more about how this affects customers currently using Quickoffice Pro and Quickoffice Pro HD. Users who have the Quickoffice for Google Apps for Business app will receive an update notification to upgrade to this new version.